The book may be purchased through Paraclete, which offers a discount for ordering multiple copies as seen on their webpage for the book. This would be a wonderful tool to use with a church group or a group of spiritual friends. It could be used in any season, though the 40-day structure and the Holy Week feature make it ideal for Lent. I recommend it! this sounds like a great idea! thanks for doing this, Mary Beth. I'm ordering this book! Thanks for taking the time to preview it for us, MB, and Rachel, looking forward to reading it! Your review convinced me! 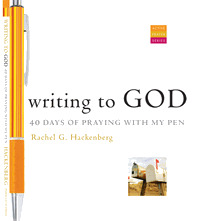 I just bought this book to use for Lenten reflections.